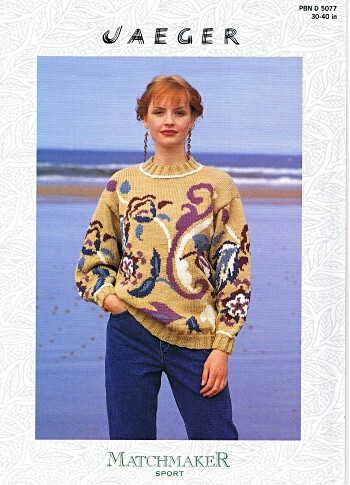 Hand knitting pattern for a round neck sweater with a large stylised floral motif. Six colours are used in total. Jaeger Matchmaker Sport, or any aran weight knitting yarn.